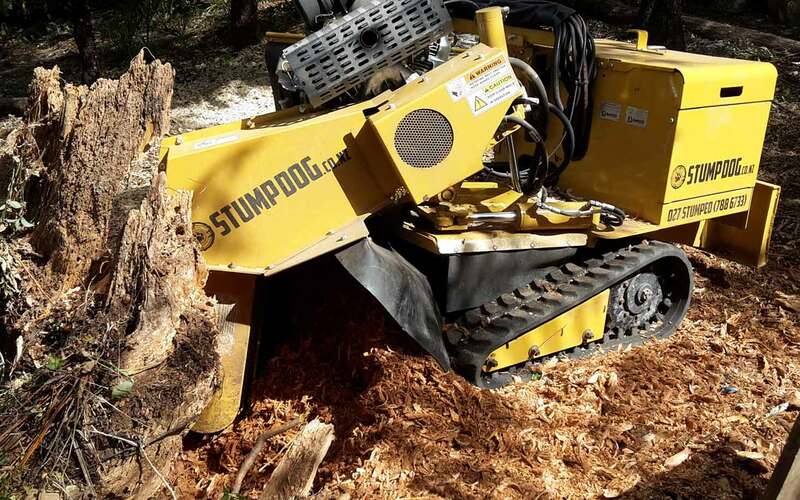 STUMPDOG specialise in stump grinding and root removal- eliminating stumps and roots left behind after trees, hedges and gardens have been cleared or cut down. We provide an experienced, safe, reliable, and cost-effective stump removal service. We have a range of machines to suit any Job big, small and difficult access. We can work in conjunction with your arborist or as a stand-alone service. We chew through anything – stump grinding is the no-fuss stump and root removal solution. We will attend your property at the pre-arranged time with the machinery suited to your stump removal job all over Auckland, East Auckland and North Shore. Same day service available. STUMPDOG grinds both the tree stump and the visible roots, leaving nothing but mulch behind. At STUMPDOG we proudly supply a free quoting system for your stump removal service so you know exactly where you stand on cost. We will attend your property at the pre-arranged time with the machinery suited to your stump removal job. STUMPDOG grinds both the tree trunk and the roots, leaving nothing but mulch behind. 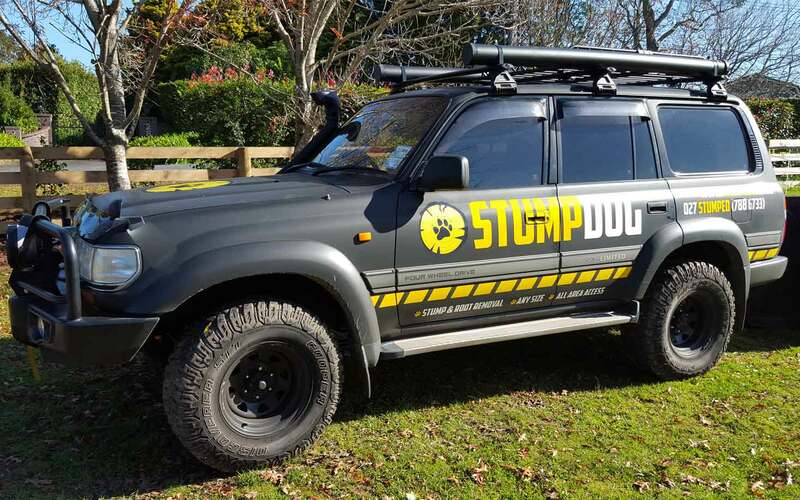 Welcome to STUMPDOG, your solution to fast and affordable stump grinding in Auckland, including the North Shore, Auckland East. As specialist stump grinders, we can successfully complete jobs large and small, eliminating all roots left behind from hedges, trees and gardens. Using our collection of the latest machinery in the industry, we can complete jobs in areas that are difficult to access leaving nothing but mulch behind. There are many reasons why a property owner will require professional stump grinding. As well as being an eyesore in your yard, it can also pose a tripping hazard to family and visitors. Stumps can also act as food for a range of insects and pests including termites. 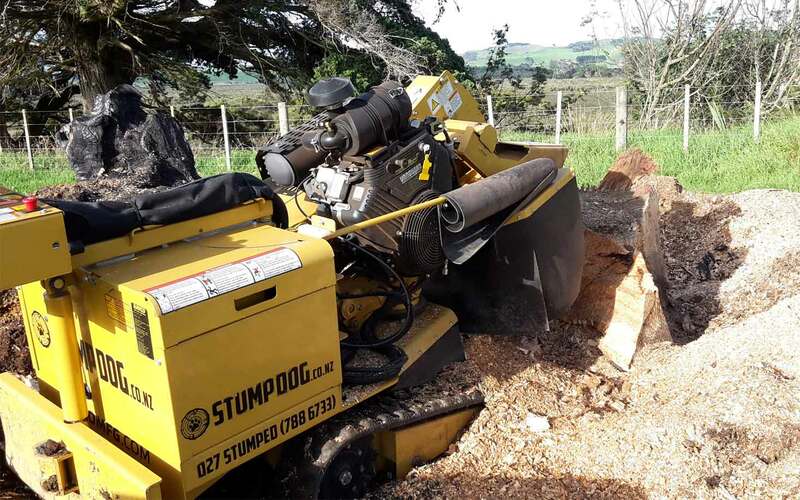 Besides the hazards, many property owners will contact stump grinders in Auckland simply to free up space that can be used more effectively. No matter what your reason is for contacting our team, you are guaranteed excellent customer service and competitive pricing. Working in conjunction with your arborist or as a stand-alone service, we assess your space and develop the ideal solution using one of our many machines. Before commencing any job, we’ll attend the property and provide a quote. For those needing an urgent solution, a same day service is available. Each job is completed with care to ensure the safety of workers and clients. To learn more about our stump grinding service in Auckland and the North Shore, simply get in touch with us today by calling 02 7788 6733.